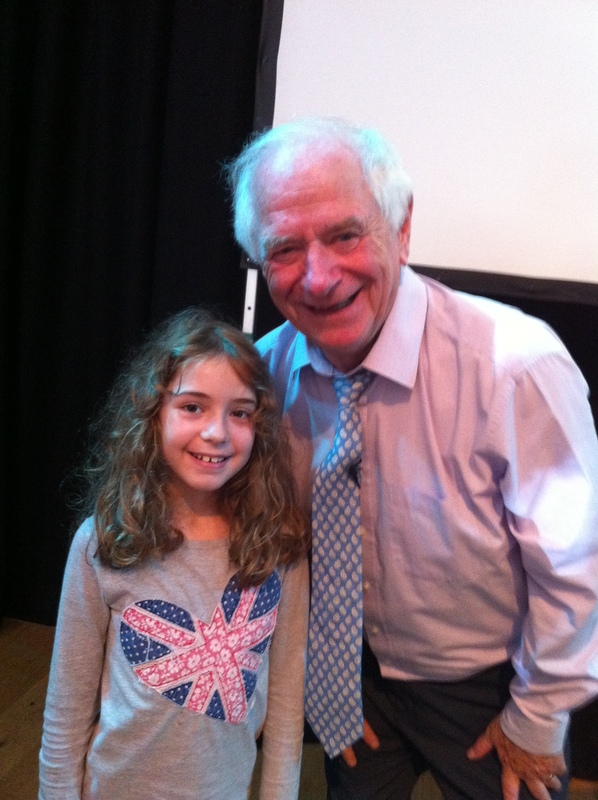 I got to go to see Johnny Ball at the Discovery Centre because I finished my reading challenge and this was my prize. My mum told me that she used to see Johnny Ball on tv when she was my age. It was a good show and he told us all about maths and made it fun. He was very funny. My mum went up on stage and helped with Milena to show a parabolic curve. She was really excited. This entry was posted in Day Out and tagged Johnny Ball, Think of a Number. Bookmark the permalink. Wow, how exciting, we like hearing Johnny Ball’s daughter Zoe on the radio and seeing her on television.